Many anti-abortion activists say the new law doesn’t go far enough, and have called for the immediate addition of moats around abortion clinics as well. 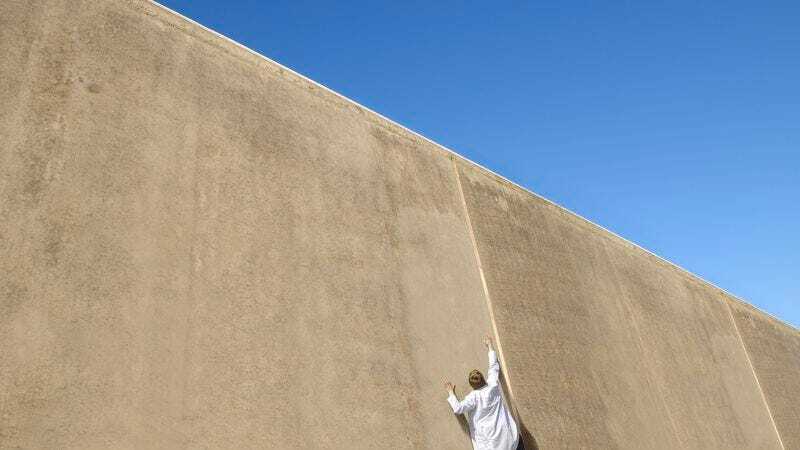 JACKSON, MS—In an effort to make certain that physicians who perform the procedure are fully qualified to do so, a new state law passed Tuesday will require Mississippi doctors to climb an 18-foot wall before entering any medical facility providing abortions. The Clinic Fortification and Physician Excellence Act calls for the construction of concrete barriers nearly two stories tall and 4 feet thick around all clinics offering abortion services, and for physicians working at these sites to scale such barricades unassisted, a landmark piece of legislation that supporters hailed as a victory for women’s health. Authorization for the clinic walls reportedly sailed through the state legislature and was quickly signed by Gov. Bryant, despite failed amendments from a small group of Democrats that would have reduced the wall’s height and allowed doctors to use assistive devices such as ladders or grappling hooks. According to sources, only the planting of thick, thorny shrubbery along the base of both sides of the wall was removed from the final version of the legislation. But while most conservative activists reportedly praised the new regulations, some suggested that a simple 18-foot wall may not be effective enough to ensure that only the most capable doctors could perform an abortion. At press time, abortion rights activists predicted that many Mississippi women seeking an abortion would travel to neighboring Louisiana to take advantage of that state’s more lenient laws, including mandatory face-to-face counseling to discourage them from having the procedure, a 24-hour waiting period, and a compulsory ultrasound, during which they will have the fetus verbally described to them, as well as have the option of viewing it on a nearby screen and listening to its heartbeat.